After months long stressful planning of the most awaited wedding day, a perfect honeymoon is what all couples look forward to. A honeymoon holds special significance because it is the first trip that a couple takes as a newlywed. It is an opportunity to escape from all the hustle and bustle of life and engage in an adventurous, fun, and romantic endeavour. Right from selecting the destination to booking tickets and planning the itinerary, everything should be well-planned. 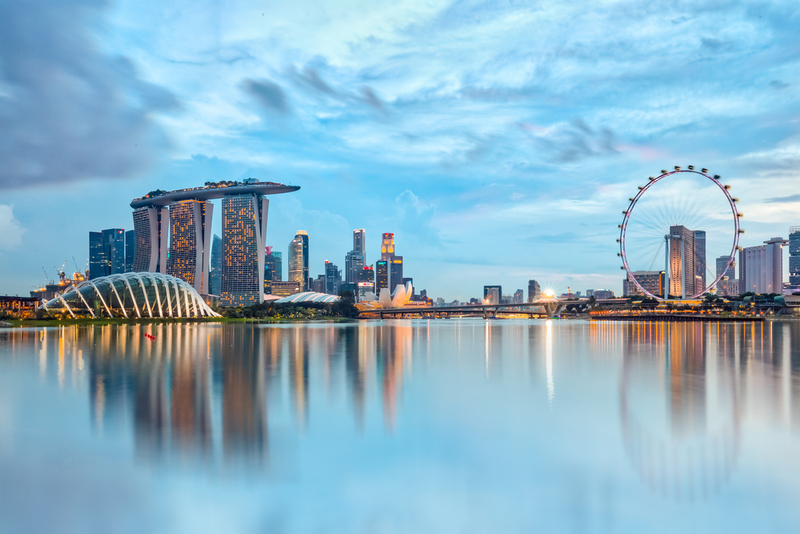 Asia tops the list when it comes to honeymoon destinations in summer. Whether you are looking for beaches or islands, natural bliss or modern pleasures, Asia offers it all. Added to it, if you are planning your honeymoon during summer, Asia undoubtedly is the best choice. Well-known for its turquoise blue waters, Maldives is an exotic honeymoon destination in Asia in summer. Maldives is a hub of pristine beaches and floating bungalows and resorts, which will definitely make you fall in love with nature. Engage in various water sports, such as kayaking, snorkelling, kite surfing, jet skiing, scuba diving, fishing, banana boat riding, under-water walking, etc. Taking a walk on the shores with your partner and sharing your stories with each other is a perfect way to know each other. Hotels in Maldives: Taj Exotica Resort and Spa, Velaa Private Island, Hotel Octave Maldives, Nikaa Island Resort and Spa, Banyan Villa. Koh Samui is the second largest island in Thailand. Mountainous rainforest, dense coconut groves, beaches, and luxurious resorts and spas are some of the major attractions. This place is the perfect honeymoon destination in Asia especially during summer. You must plan to stay here at least for a week. 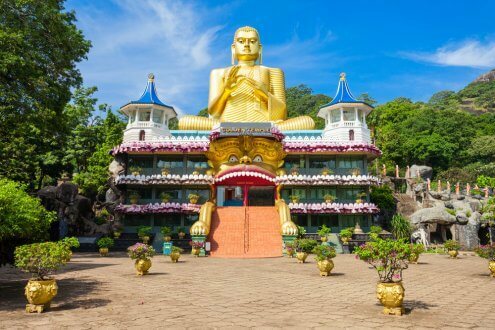 Honeymoon in Sri Lanka is all about relaxing in the sultry warm weather, walking barefoot on the white shores of the turquoise water, exploring the diverse landscapes and rain forests, etc. All these indulgence will simply reinvigorate the warmth of love between you and your new spouse. 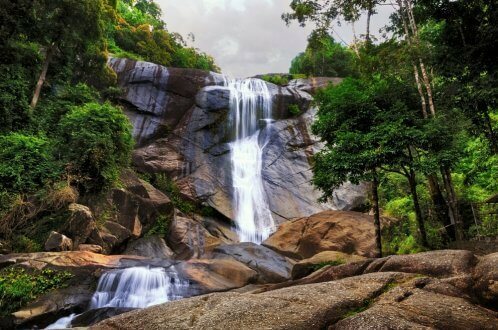 Apart from these, a uniform climate throughout the year with soothing winds blowing across the country makes Sri Lanka one of the most preferred honeymoon destination in Asia. 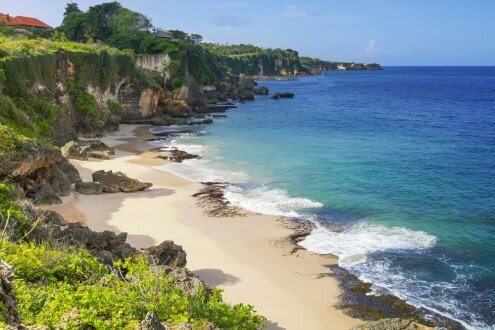 Bali is the right destination if you are looking for a tropical getaway. You may sail out to the sea with your partner, or enjoy a romantic dinner on a cruise, watching the sunset over calm waters on a starlit night with the music of the waves in the background. Also, the cool green tropical forests with a gentle breeze caressing your face simply make honeymoon in Bali a mesmerising experience. 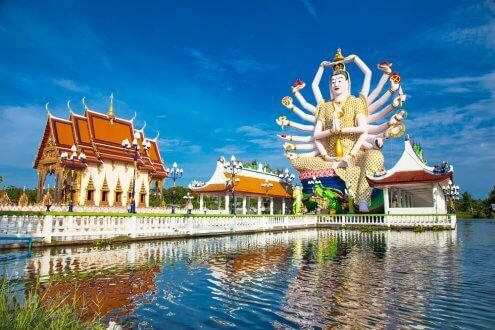 If you are fond of gorgeous beaches, sparkling bays, rich landscape, and colourful culture, Cambodia is where you must go to for your honeymoon in summer. The weather is favourable for lazing around the beach or going for any outdoor activity. 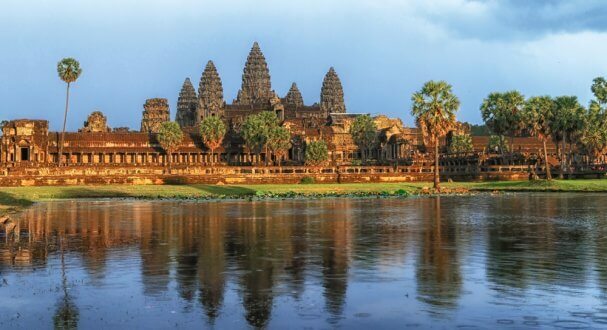 The best part about Cambodia is the reasonable budget that it demands without sacrificing the stunning and exotic factor. Langkawi Island makes environment for a perfect romance on the beach besides the alluring water. It is the best place to experience peace and tranquillity with your loved one in a minimum budget. You may try some adventurous water sports, go for a shopping spree or simply explore the amazing rainforests. 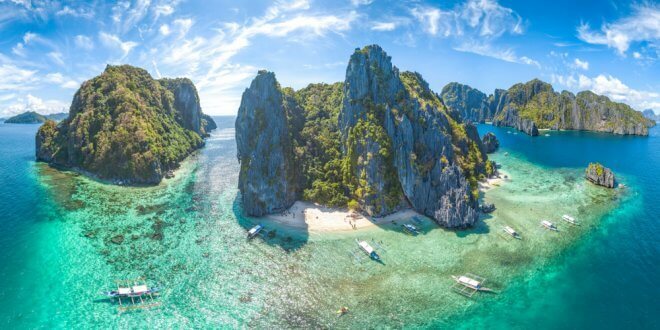 Known as the last unspoiled paradise on earth, El Nido is a well preserved secret amongst the locals. The captivating landscape amongst the beaches and mountains under the clear blue sky will surely give you the best honeymoon experience. 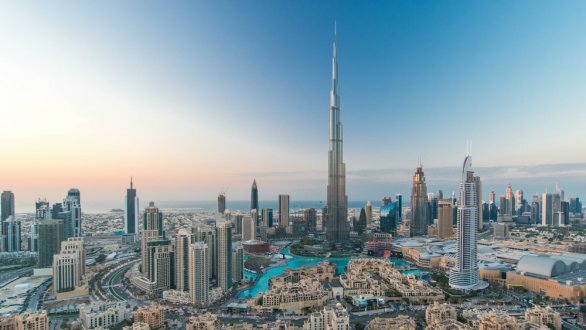 Honeymoon destinations in Asia are not only about beaches and mountains, but also the vibrant, youthful and dazzling city of Dubai. It offers a mixture of adventure, romance and luxury, all rolled into one. Hong Kong is a wonderful honeymoon destination in Asia. 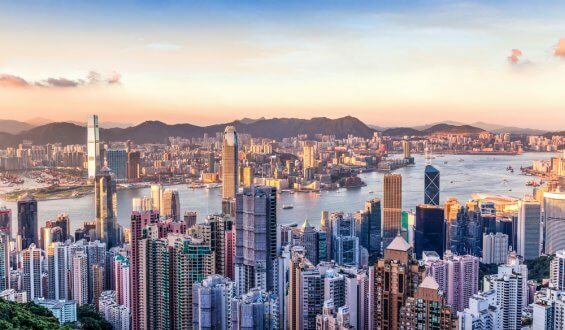 With a perfect blend of city life and beaches, Hong Kong has a lot to offer. Apart from this, the nightlife of Hong Kong is one of the best in the world. With the lush greenery that surrounds the city and the amazing views all around, Singapore stands out to be the most sought after honeymoon destination in Asia. This island city is a precious marvel both man-made and natural. The marvellous views of lights and fountains with beautiful beaches are sure to amaze you and your partner. While you are going on your honeymoon, you want to stay relaxed and have some free time to spend with your partner. Getting a honeymoon package to any of these destinations will keep you free from the hassle of making arrangements on your own. Most of the honeymoon packages are inclusive of your air tickets, accommodation, sightseeing, car hire, airport transfers, honeymoon suite decorations etc. So, you can get a honeymoon package to your favourite destination in Asia, and leave the rest to the professionals. All the above mentioned, luxurious and beautiful honeymoon destination in Asia are a romantic wonderland for honeymooners. So choose your honeymoon destinations wisely as it is the beginning of your married life.